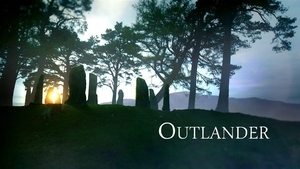 I had familiarized myself with the story of Outlander when I was studying some of the historical events which had taken place where we would be traveling. We were touring the Highlands, you see, and if we had stuck to the rural parts and never visited a shop or museum, we might have avoided all the hype… but we wanted to see some sights along the way, and we couldn’t avoid towns forever (as much as we loved the windy moors and dark, deep woods). When we went to Ft. William, we stopped to peruse the local museum. It was an odd little place, with one room devoted to the creation of the British Commandos (the creation and training thereof occurred not 13 miles from Fort William), a pretty good natural history section, and a very large portion dedicated to the Risings and the history surrounding them. This was a stroke of luck for us. I knew we would be staying in Glenfinnan that night, and that it was significant to the ’45 Rising, but I wasn’t exactly clear on how. While Fort William (of which the actual fort is no longer standing, merely the town proper which still bears the name) is famous for being where the first shots of the ’45 were fired, Glenfinnan is where the mustering truly began. The monument dedicated to the prince’s landing at Glenfinnan is pictured in the image at the top of this post – a shot I got when we walked out to it on an atmospheric Scottish morning this fall. Historical context note: the Glorious Revolution of 1688 saw James II of England overthrown and William and Mary crowned. James’ son thought this wasn’t fair and tried to take it back, and then his son, Charles, didn’t think it was fair either and continued the tradition. The Bonny Prince, Charles Edward Stuart (and son of the exiled James would-have-been-III), sailed from France in 1745 in an attempt to start a revolution which would put his father on the throne. Charles’ convoy was attacked by the British on his way to Scotland, and he lost one of the two ships in his possession… and half of his guns and supplies. So that was a bonny start to his bonny rebellion, but he sailed up Loch Shiel, raised his standard at Glenfinnan, and started assembling an army of pissed-off Highlanders. Why were the Scots angry? You might ask. Have you met the Scots? I might say in response. No, but seriously. The English were being really sour about the whole Scotland-as-a-country thing and treated the Scots very poorly in the legal, moral, and social sense. Add in the weather, the itchy wool, and the general disposition of the Scottish people and it wasn’t that hard for Charles to get the Scots to march on Edinburgh to take it back from the control of the English government. And the Scottish were already poor, so they didn’t seem to mind the rotten conditions and minimal supplies as much as most armies would. My parents and I were knee-deep in historical detail and basking in the glow of knowledgeable enlightenment when we saw a sign posted that said something along the lines of, “For Outlander merchandise and history information, ask at the front desk” – and that was when my parents asked me what that was all about. One or two key plot points in Outlander happen at Fort William, so it isn’t surprising that fans of the books or show would turn up looking for a big, scary, stone fort and wondering why it wasn’t there. It was a key location held by the English during all of the Risings and all of the interims between them: it sort of juts up into the Highlands without being too far away from the more civilized and gentrified country of the Lowlands, and the loch would have made it easy to resupply. It is also fairly easy to traverse the lochs and roads up to Inverness where other soldiers were easily garrisoned. However, the Rising was not a war between the Scots and the English (who fought both on either side). Yes, many clans came out in support of Bonnie Prince Charlie, but others supported the government instead. Additionally, there was a French aspect to the war, a deeper context involving the War of the Austrian Succession, a religious aspect between Catholics, Protestants, and Episcopalians (who all fought on both sides), an aspect of economic liberty, and a boatload of really bad luck for the Highlanders. This was a very, very complicated war that ended so tragically, there are still extremely strong feelings among the Highland Scots today. Seeing these places and monuments, reading about what took place and why, breathing that damp highland air… it was a surreal experience, and I felt utterly transported by it. This conflict stirs in my blood, going back to my father’s great-grandfather (x8), and the tales of tragedy on both sides stirred my heart as well. I’ll write more about how, why, and the consequences of the end of the Rising of ’45 in another post. For now, enjoy the pictures and your newfound historical knowledge.